Amy and I spent Saturday at King’s Dominion in VA, with Jeff and Stacey from church. This was kind of a momentous theme park visit for me, because before last Saturday I could count the number of times I’d been on roller coasters in my life on one hand: starting with Great America’s Tidal Wave in 1982 (yeah, a bit too intense for a kid of six) and ending with the Matterhorn in Disneyland in 1990. I then decided that roller coasters terrified me, and abstained from any rides more intense than a ferris wheel for the rest of my puberty and young adult life. So yesterday was my first time back on the wood and steel rails in over a decade, and after riding rides like Rebel Yell, Hurler, Ricochet, Avalanche, Scooby Doo’s Ghoster Coaster, Ricochet, and Shenandoah Log Flume (links to rides here), I’ve concluded that I’m over my initial dislike, and I now enjoy roller coasters, though Ricochet and some of the bumpier wood ones were a bit rough on the neck; I’ll have to brace harder next time to avoid whiplash. 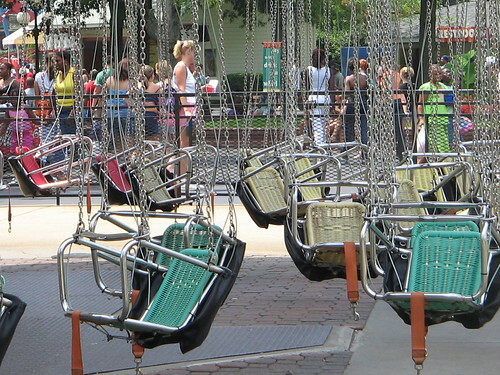 We’ll try the more intense rides next time we’re there — hopefully when lines are a bit shorter. Here’s the full King’s Dominion photoset. Amy was trying to figure out if it was a cherub head stuck on a muscular man’s body or if the cherub had just been working out. 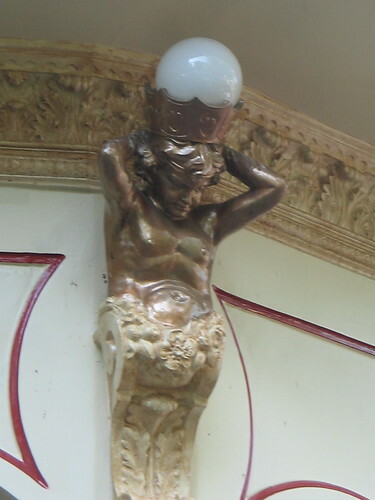 I’d say the cherub’s been doing pilates and leave it at that. Wow, King’s Dominion! I haven’t been there since I was a wee child (or about 10). 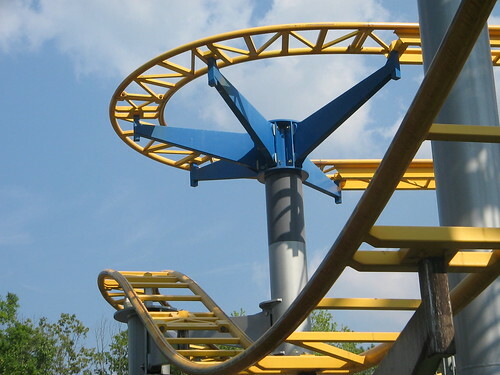 Do they still have the Shockwave, the stand-up rollercoaster? I didn’t like it much back then. It was a little corny – one loop, a corkscrew, and you’re done. 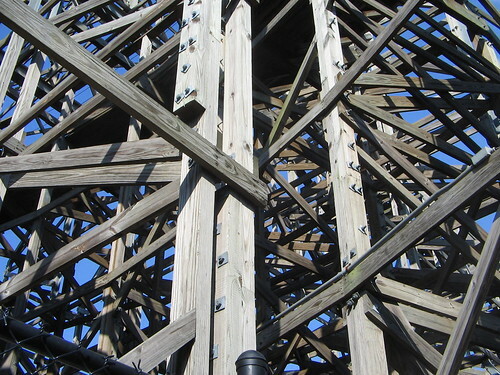 I liked Rebel Yell, but then again I have a thing for wooden rollercoasters. Nice post, brings back lots of memories (and upchucked hotdogs).